Double bed overlooking the skyline of Rome domes ad the Spanish steps and sofa bed for extra guest. Fully equipped: Air condition, Microwave, Fireplace, dishwasher, washing machine, Stereo, TV , DVD. Large Library , broadband. The location is outstanding. Easy access to public transportation a d main walking streets. The apartment is in a quiet neighborhood with easy access to public transportation, grocery shops, and in walking distance of many major sites. The rooftop terrace is an added bonus. Alberto was quick to respond to inquiries. We enjoyed our stay very much. 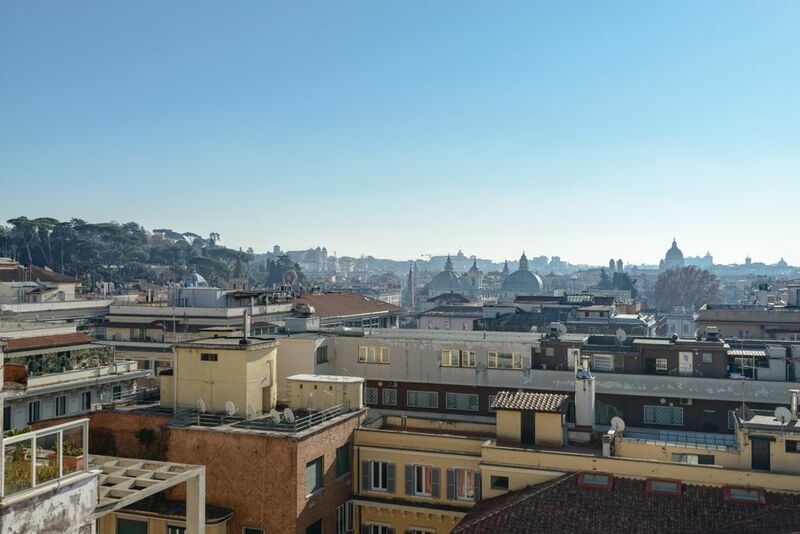 Great little flat centrally located in a quiet neighborhood in Rome. Minutes walk to trams and metro that can shuttle you all over Rome. Also close enough to everything to walk if you are an adventurous traveler. We averaged 9+ miles a day walking. Estupendo apartamento para pasar un par de semanas visitando la ciudad.